Deep Space Climate Observatory (DSCOVR)Lagrangian point 1, or “L1,” a unique point between the sun and Earth where the gravitational pull of each sphere is equally balanced by the other. DSCOVR is located at the LaGrangian Point 1, or “L1,” a unique point in space—more than 1 million miles from Earth—where the gravity of the Earth and Sun are balanced. 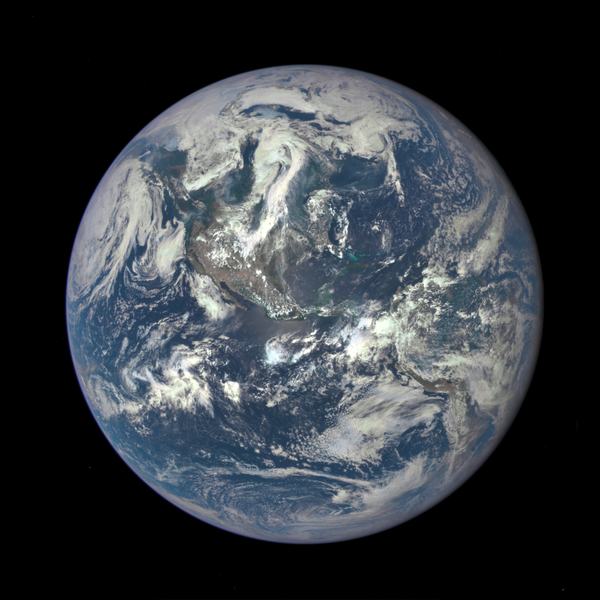 From L1,DSCOVR co-orbits the Earth and conducts its scientific missions, which include the first ever measurement of the energy budget for planet Earth.